A little over a week ago I broke up with Facebook. I logged out and deleted the Facebook bookmark from both my PC and my iPhone. 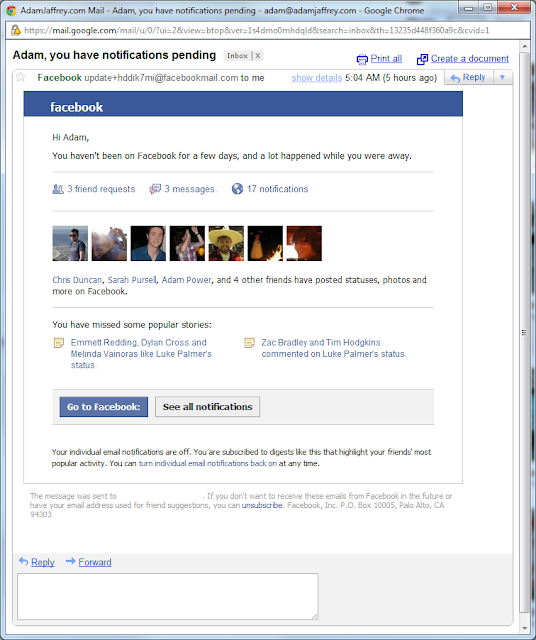 Now, Facebook wants me back.